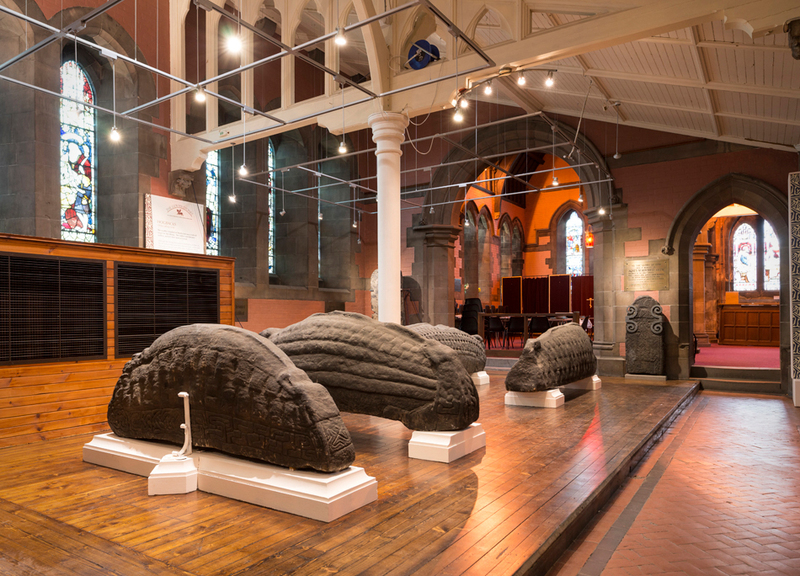 Much has been written about the early medieval beginnings of Govan. 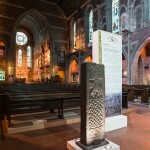 Its strategic position at the centre of an ancient Kingdom of Strathclyde (this stretched as far as Carlisle to the South, and perhaps the Campsie Fells and Loch Lomond to the North) led to the formation of an early Royal Court where all powerful kings established their base having retreated inland following battles with Vikings! 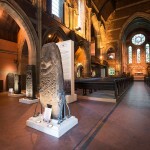 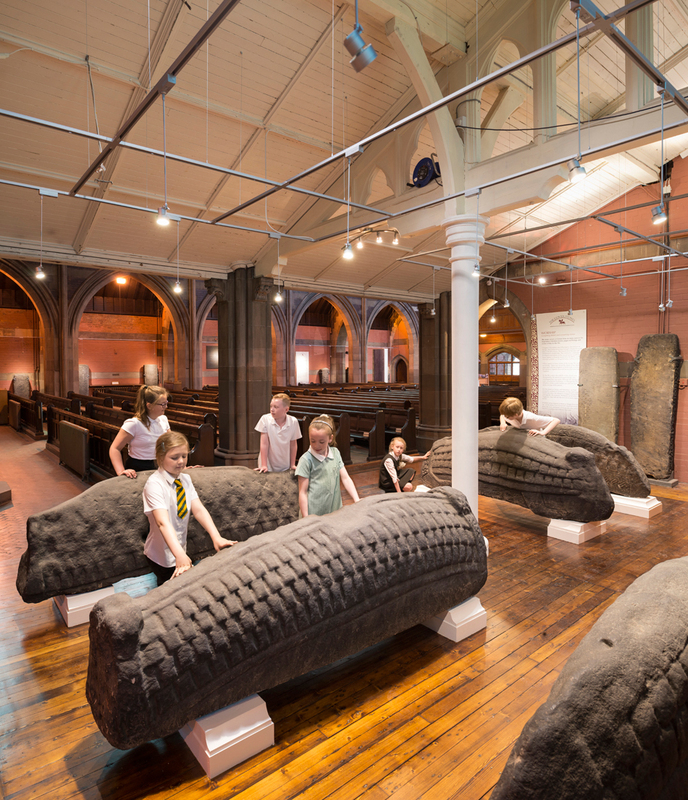 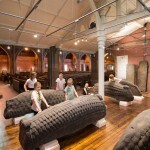 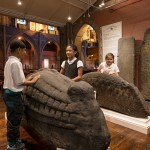 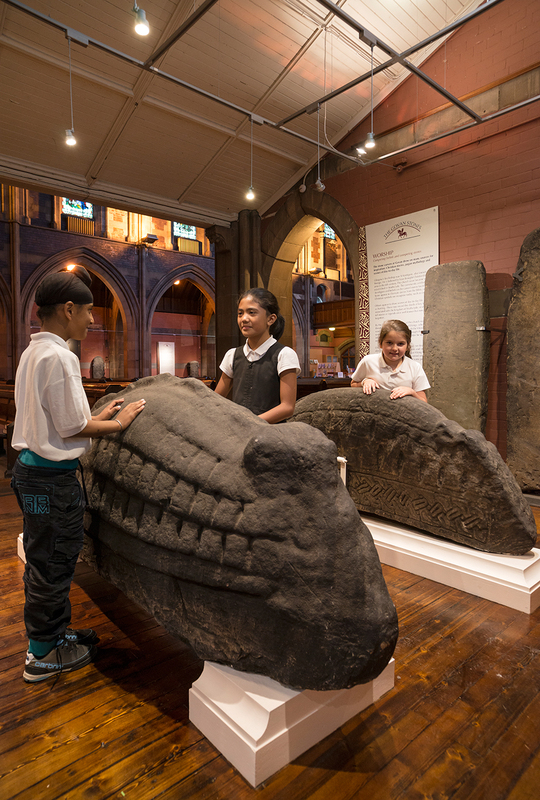 These wonderfully carved, and textured stones are a testament to this chapter of history and have recently been sensitively redisplayed through a lighting and exhibition design led by York Archaeological Trust and architect Alan Balmer that highlight the intricacies of these stones within the fantastic setting of Govan Old church, which sits on the site of one of the earliest Christian centres in Scotland. 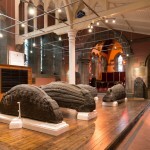 f you haven’t seen these they really are worth paying a visit and you can combine this with a walk along the river front, a wander through Govan and perhaps a pint in the traditional interior of Brechins bar or a meal in the relaxing Cafe 13 at Govan Cross. 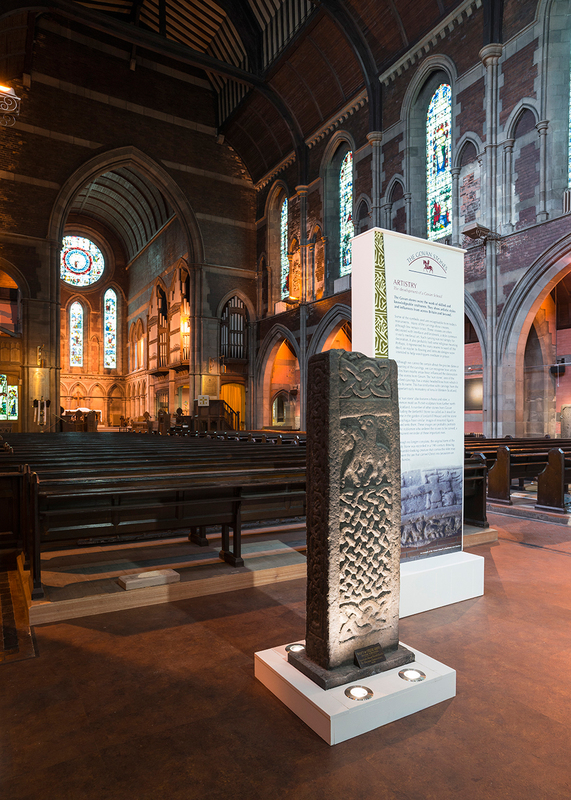 ‘Heart Of The Kingdom‘ is a definitive voice on this period of history by Tim Clarkson historian and author of ‘The Men of the North: the Britons of Southern Scotland’and more recently ‘Strathclyde and the Anglo Saxons in the Viking Age’. 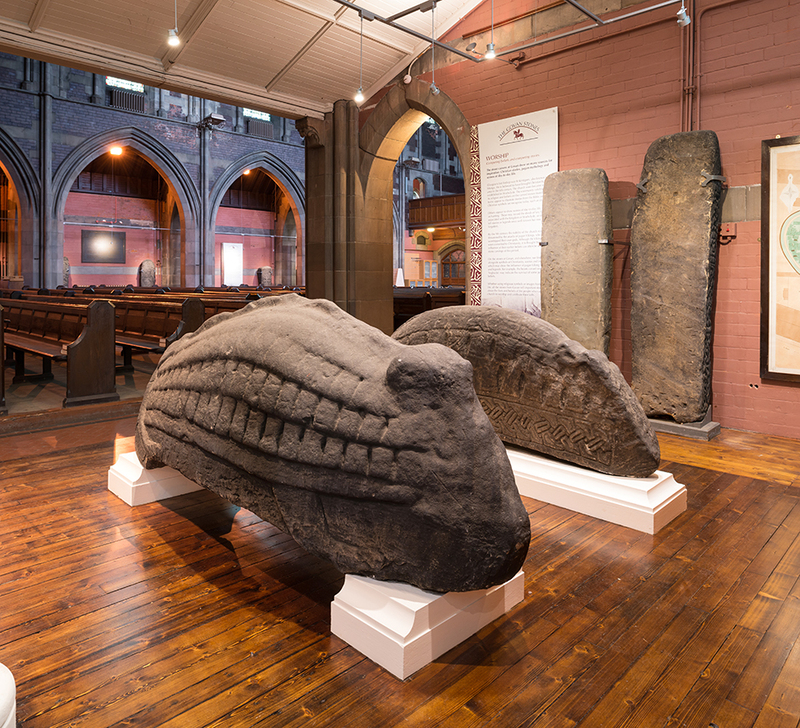 Below is a picture of a fantastic recent installation in 2014 that occupies an archway in the church right next to these mysterious and beautiful stones. 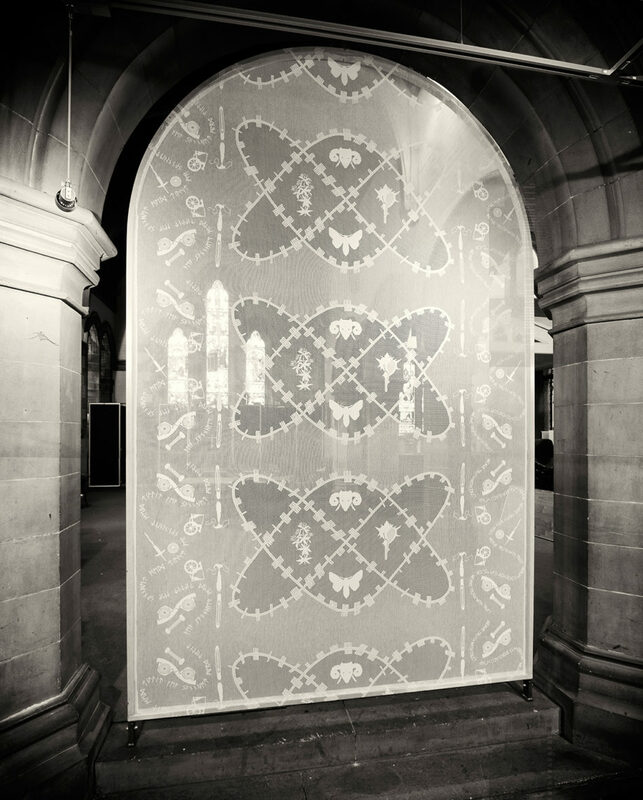 The screen is a highlight of ‘The Weaving Truth With Trust’ collaborative project led by artists, Geraldine Greene, Alexandra Bowie, Ingrid Shearer, and Fiona Fleming, to explore and reinterpret Govan’s relationship to the textile and weaving industry.